Artistry Youth Dance Artistic Director, Kamara Gray, was awarded the Lisa Ullmann Travelling Scholarship Fund, to support a research trip to California, USA, to study Jazz dance technique, history, and teaching practices. We are delighted to be hosting a FREE Summer Dance Intensive for young people aged 14 years and up. The workshops will take place between 8 - 12 August. Classes will be in Jazz and Hip-Hop dance, led by Kamara Gray and Yami 'Rowdy' Lofvenberg. Don't miss out on this fantastic opportunity to develop your dance skills over the Summer! Please also share the information with any young people who may interested. Places are limited so email: info@artistryyouthdance.com to reserve your place. Thank you to the talented dancers who attended our audition! On Sunday 3rd July, we welcomed a talented group of young dancers to audition to join us from September 2016. Everyone did a fantastic job and we look forward to working with the lovely dancers who'll be joining us from September 2016! Artistry Youth Dance present their end of year dance showcase entitled ‘Resilience’. The evening will feature exciting work by a selection of choreographers, including Gerrard Martin Dance and guest choreographer Mbulelo Ndabeni, Artistic Director of N'Da Dance Company. Mbulelo is a South African born, London-based dancer, choreographer, teacher and movement director. He has previously worked with Matthew Bourne's New Adventures, Rambert Dance Company, Wayne McGregor, and Company Chameleon. His choreography is influenced by his African heritage and Western training in ballet and contemporary dance. Where has the time gone! How did we get to April so quickly? Well we have been keeping ourselves busy over the past couple of months. In recent weeks we've had a stack of performances, including, 'Blaze' at Laban, the U.Dance London Regional Final and 'Positive Push' at the Brit School. We ended off the term with an outstanding Masterclass with international choreographer, Anthony Burrell, who is the Creative Director, Choreographer and dancer for Mariah Carey, Beyoncé and many other artists! Masterclass with international choreographer, Anthony Burrell! 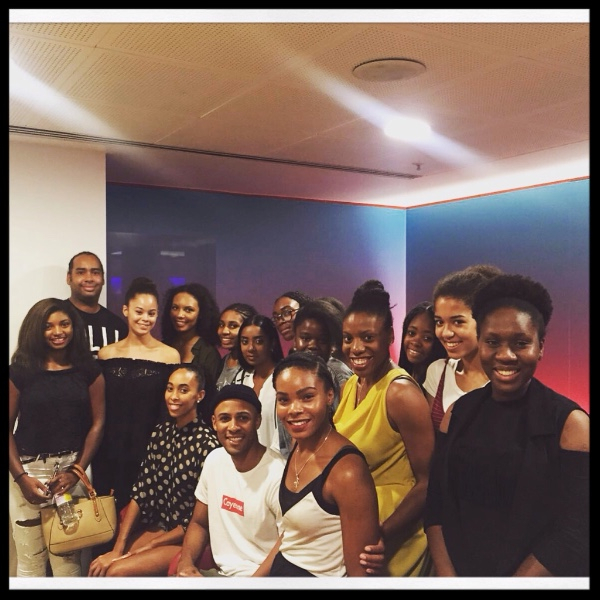 Anthony Burrell, an American Creative Director, Choreographer and Dance Artist, delivered an exciting Contemporary Dance Masterclass. Anthony began his career as a company dancer with Ailey II and later with the Alvin Ailey American Dance Theater. Anthony has since forged an impressive career in the Commercial Dance industry, working with artists including Mariah Carey, Beyoncé, Rihanna, Katy Perry, Alicia Keys, Kelly Rowland and Michelle Williams. He surprised two students by awarding them with scholarships to attend his Summer intensive programme, 'Breaking Barriers', taking place in Philadelphia in July, 2016. He is dedicated to providing dance training to under-served youth and was a great inspiration for our dancers. Positive Push at The Brit School! 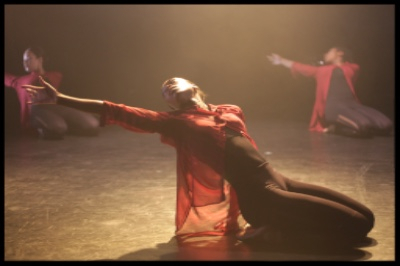 The dancers featured in the Positive Push Performing Arts Festival at the Brit School, Croydon. The event featured a selection of local youth dance companies and schools, showcasing a mix of dance, drama and singing. We were also invited to perform at 'Blaze', an annual 'day of dance' for girls aged 11-16 years, held at Trinity Laban, Greenwich.